It’s that fun time of the month again for Farmhouse Hens. This month it’s all about thrifted frames! So today I thought I would share how I made this Farmhouse Tissue Paper Frame which I found at my local thrift store for $1. 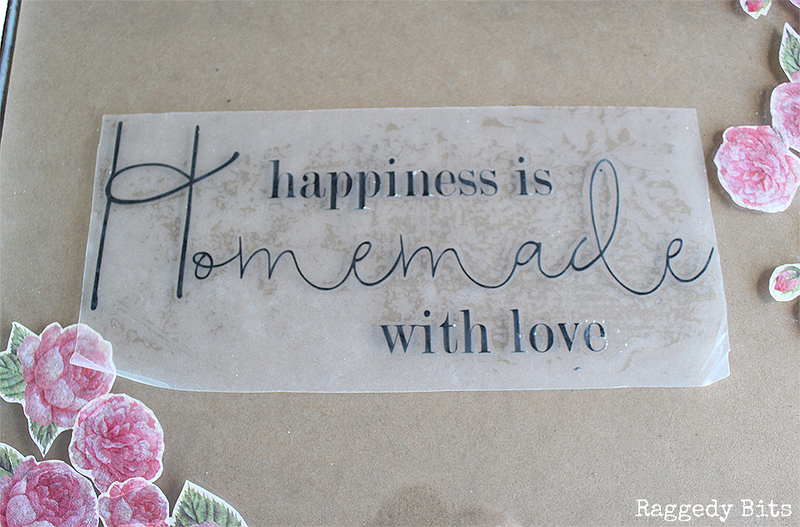 Happiness is Homemade Decal – I made this decal using vinyl. 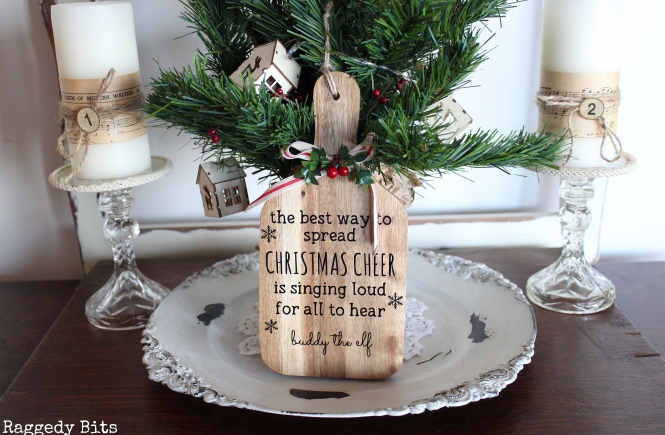 You could also use a stencil and some glass medium mixed in with some black paint and stencil. Step 1 – Clean down your frame and glass. Then give the frame 2 coats of Coal Black, letting each coat dry. 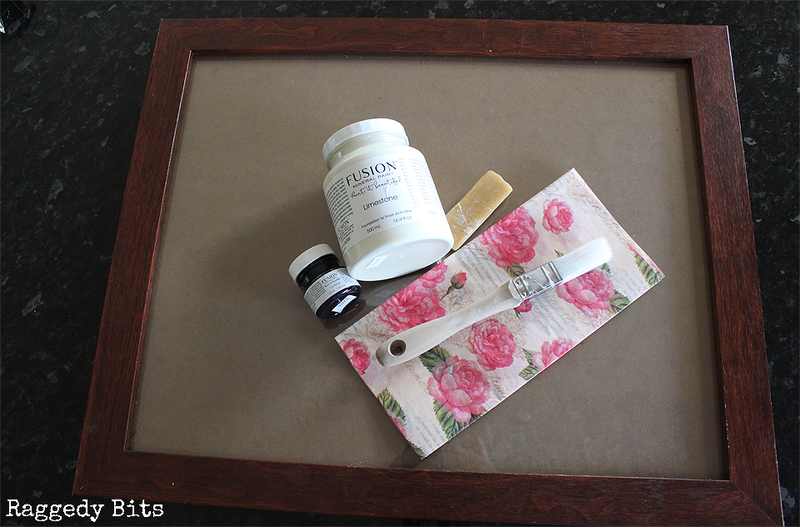 Then rub over the areas of the frame that you would like to be distressed with your beeswax block. This acts as a barrier from the second colour that you apply and lets the black come through without going all the way back to the wood of the frame. Then apply 2 coats of Limestone, letting the first coat dry before applying the second. 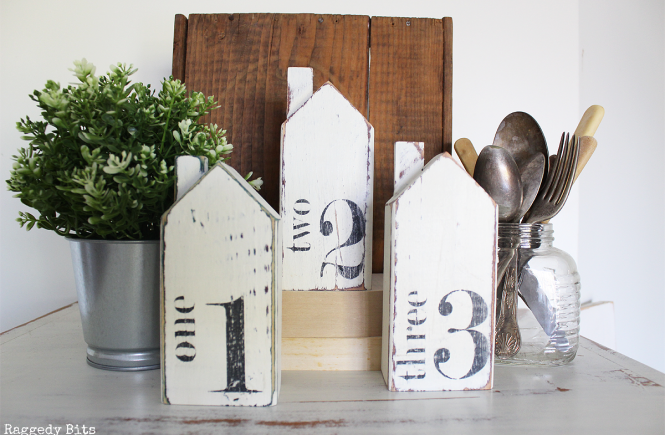 Step 2 – Remove the backing from your frame. Using your scissors cut out the designs that you like from your tissue paper. Start to lay out your design around the glass panel. Just make sure that you aren’t to close to the edge because your design will get hidden behind the lip of the frame. In my case with this frame that I used, I made sure that I was 1 cm in from the edge. 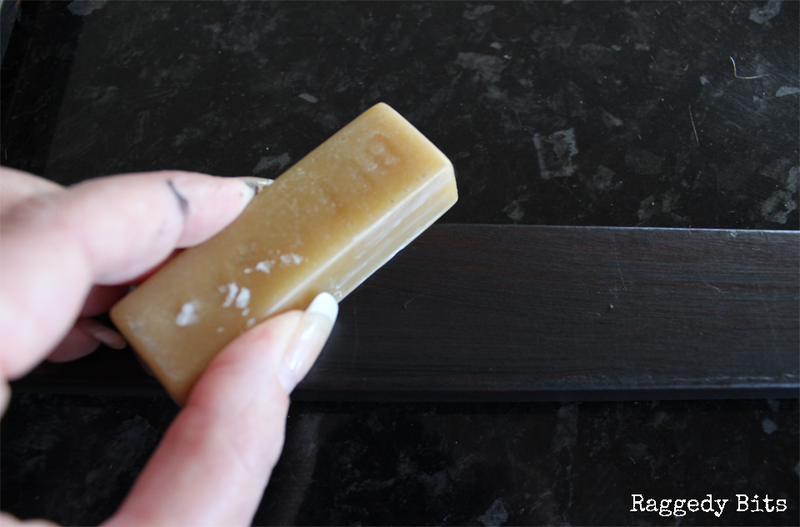 Step 3 – Apply your top coat to the back of your tissue paper. This bit gets a little messy but I found that lying the tissue paper in my hand and then brushing the top coat onto the back of the tissue paper it made it easier. Then apply the tissue paper to the glass. Start from the middle and work your way to the outer edges smoothing out the tissue paper with our finger. Let dry. Apply your Vinyl decal to the centre of your frame by removing the transfer tape and applying to the glass. Carefully remove the transfer tape. Step 4 – Using a smaller brush go around with the top coat to ensure that the edges of the tissue paper have adhered to the glass. 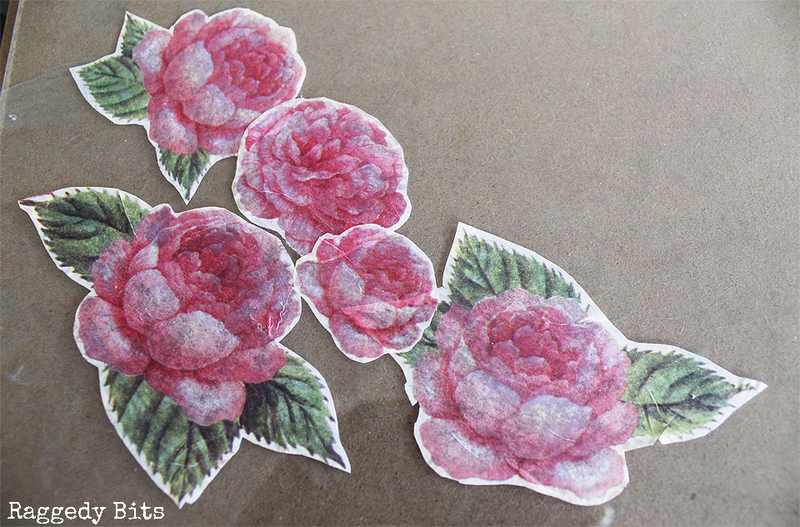 Apply a coat of top coat to the tissue paper to seal. Using a wet cotton bud go around your tissue paper decals and wipe away any top coat that you may have gotten on the glass. This was a little bit of a fiddly project but well worth it! I would love to find an old window and try this method as well. 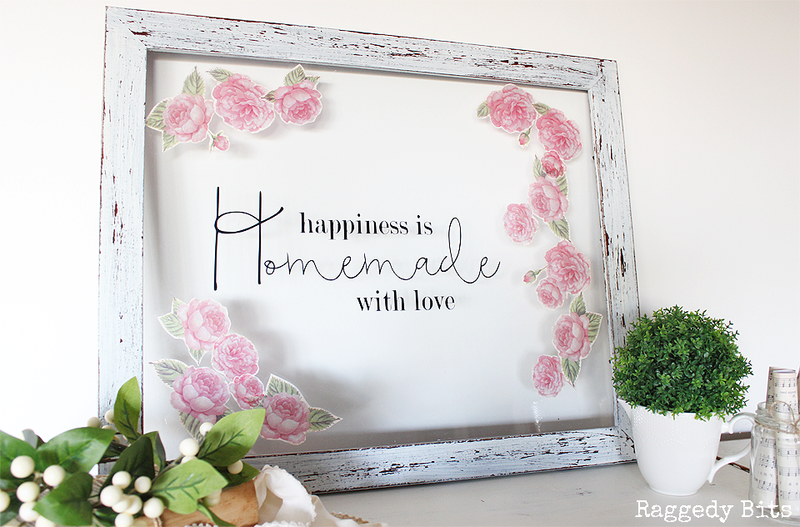 Be sure to see all of the other fun Thrifted Frame Projects below from my Farmhouse Hen Pals. That is too cute, Sam. And I always find paper I love but can’t think of a way to use. Nice! So glad you like it, Stephanie! Thank you so much! I love this. It turned out so pretty. Great job Sam. It was a little tricky but once you get the hang of it, it’s fine! Wow! This is so pretty! 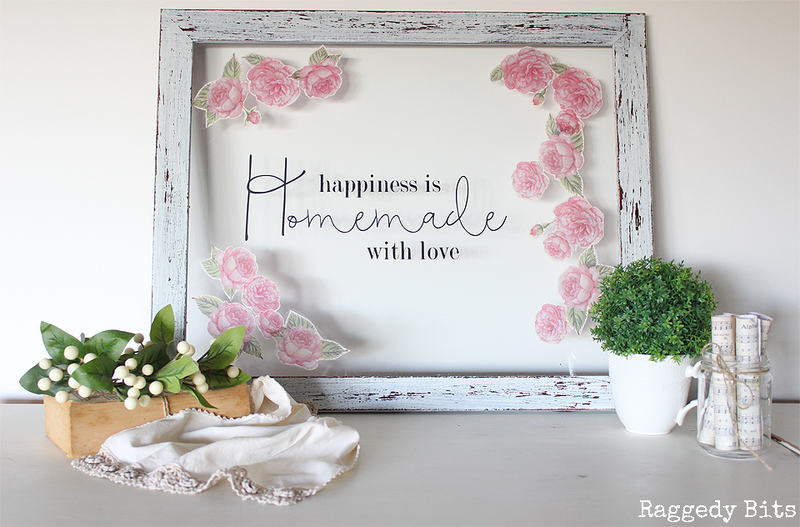 I love the quote and the flowers are just lovely! Beautiful update! Thank you so much, Michelle! Don’t you just love the power of paint! I love this. It’s so pretty! Thank you, Deborah! So glad you think so! This is such a pretty project 🙂 I love how the distressed look on the frame came out. Thanks for sharing Sam! So glad you stopped by Kasia! Thank you so much for leaving such a lovely comment! That is such a pretty idea Sam and a new to me technique. It’s so fun Mary! I hope you get to try and play around with it!